We are a Congressionally chartered and exclusively dedicated to Vietnam-Era Veterans and their families. The VVA National Constitution. Our founding principle is "Never Again Will One Generation Of Veterans Abandon Another." VVA's goals are "To promote and support the full range of issues important to Vietnam-Era Veterans, to create a new identity for this generation of veterans, and to change public perception of Vietnam-Era Veterans." Our Chapter activities benefit the communities of Plymouth and Canton Michigan as well as Wayne County and these activities help to create a positive public perception of Vietnam-Era Veterans. By clicking on the link above our current newsletter will be displayed. To find previous monthly newsletters click on About Us then Homefront Newsletters. Click on Link above to see 2019 Sportsman Raffle Flyer, Prizes and Selling Events. For our VVA and AVVA members and fellow VFW 6695 Members wanting to volunteer for Sportsman Raffle selling events look at the bottom of the selling events page. Original Cruz N 528 Car Show now coordinated by VFW 6695 will have the first show for 2019 on Wednesday May 15th and run every Wednesday through the month of August. If you would like to volunteer to assist the various tasks during the car show please click the box above to sign up as a volunteer. 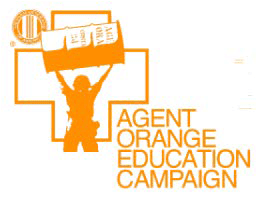 Clicking on the Agent Orange Education Campaign logo will link to the our Agent Orange page providing information about the use of Agent Orange and other compounds that were used during the Vietnam War era. There is also information about the three townhalls our chapter has hosted in trying to get this information out to the public. Copyright © 2019 VVA Chapter 528 | Website development and hosting by IX Publishing, Inc.